Top » ENGLISH » STUDY THE WORD OF GOD » WE NEED ADVENT! The word Advent derives from the Latin word “advento” meaning “coming.” During Advent, we recall the history of God’s people and reflect on how the prophecies and promises of the Old Testament were fulfilled. This gives us a background for the present. Preparation for Christmas is an important theme for Advent. In addition, Advent gives us a vision of our lives as Christians and shows us the possibilities of life. In particular, it looks back to the first coming of Christ at Bethlehem, and it looks to the future when Christ will come again. In the interval between these two events, we find meaning for our life as a Christian. 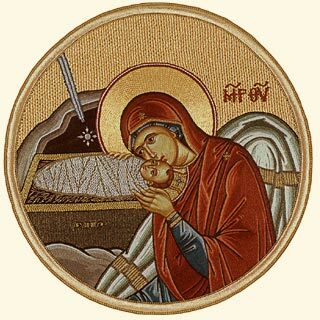 First, we celebrate the mystery of incarnation, that is, the mystery of Christ-become-human. We view his life and experience his presence as a human being in our history. Christ came to show us what life can and should be. He gave us true and valid principles by which we can live true and salutary lives. Before Christ left this world, he formed the Church of people held together by love. He himself remains with us in his Spirit, the Church, the sacraments, the Scriptures, and each other. He lives in community with us and keeps his vision of life before us. When Christ comes again, his presence will no longer be hidden behind the signs and symbols of the liturgy or the words of the Scriptures. His presence among us will be revealed in all its fullness, a presence that will never end, a presence that will perfect and complete our community. In these few short weeks, we prepare ourselves to celebrate first the magnificent phenomenon of Christ’s birth, and remind ourselves of our anticipation of his Second Coming. Hence, the season of Advent brings us the splendid vision of life and hope for the future given to us by Christ. Advent is a time to have our vision renewed. We need it because Advent helps us to look back, to learn the patience of the people of Israel as they waited for the first coming of the Messiah. They were a people who seemed defeated on every side and pushed to the margin of history, yet they stayed faithful to the Lord and the Lord was faithful to them. There have been times when we all have felt a little like ancient Israel – defeated, pushed aside, insignificant. Advent invites us to look back and learn. Israel’s faith was not in vain; our faith is not in vain either. God did not forget Israel; God has not forgotten us. We need Advent because Advent helps us to look ahead. Advent reminds us that Jesus, the Messiah so long awaited by Israel, is the Savior of the world and that he is coming again. Human history has a destiny, and every hour brings us closer to the fulfillment of that destiny through Christ’s Second Coming. We need Advent because it is time for us to be reconciled to our heavenly Father, time to heal the wounds we have inflicted upon others, time to learn how to cope with ourselves. It is a time for the sacrament of reconciliation. We need Advent! We need this season when the Church gives us a driving force and says “Wake up!” It is easy to get so absorbed in the details of life that we lose sight of what it is all about. It is easy to get so overcome with the bad news that we forget what the good news is. We need to hear that good news again that, for all the brokenness and sin, God so loved the world that he sent his Son. We need to hear the good news that darkness and the shadows of death are in fact coming to an end, however strong they may seem in the world around us. We need to be reminded now that the night is far spent and the great and glorious day of the Lord draws near. Let us listen to the Advent Word of God when it tells us to get ready. As Saint Paul tells us, eye has not seen, ear has not heard, nor can we even imagine what good things God has in store for those who love him. So let us cast off the works of darkness and put on the amour of light. We should spend more time in prayer during this holy season. Let our imagination be refreshed by reading the Scriptures. Come more often to feast at the table of the Lord. This article was published on Friday 26 November, 2010.